The Social Democratic Liberal Party (SODELPA) has officially announced the names of more provisional candidates who will contest this year’s general election. 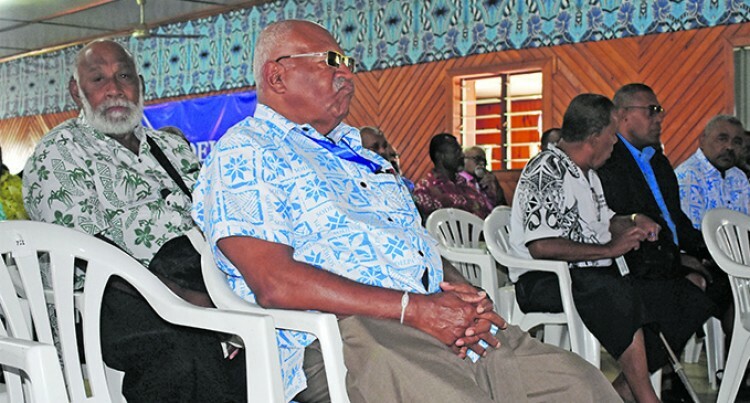 The names were announced by party leader and provisional election candidate Sitiveni Rabuka during the SODELPA Annual General Meeting at Namoli Village in Lautoka yesterday. Mr Rabuka reminded the candidates of their duty to the people, the party and their respective constituency in getting the job done. “They have faith in you,” he said. The names released were Jese Saukuru, Nacanieli Waka, Adi Meretui Ratunabuabua, Pauliasi R Matawalu, Mitieli Bulanauca, Ratu Atonio Lalabalavu, Niko Nawaikula, Simione Rasova, Mere Samisoni, Anare Jale, Inia Qereqeretabua, Nemani Bulitavu, Adi Narayan, George Shiu Raj, Ezekiel Sharma, Arvind Deo Singh, Reverend John Kata, Inosi Kuridrani, Viliame Gavoka, Aseri Radrodro, Peceli Rinakama, Ro Kiniviliame Kiliraki, Ratu Suliano Matanitobua, Jope Koroisavou, Ropate Ligairi, Salote Radrodro, Berenado Daveta, Pio Tabaiwalu, Kitione Vuetaki, Daniel Urai, Anare Vadei, Lynda Tabuya, Jiosefa Dulakiverata, Simione Drole, Uraia Salababa, Malakai Nalawa, Ro Teimumu Kepa, Mikaele Leawere, Semesa Karavaki, Tanya Waqanika Adi Litia Qionibaravi, Ratu Jone R Seniloli, Ratu Isoa Tikoca and Sitiveni Rabuka, Mr Rabuka said. He wished them all the very best on behalf of SODELPA heading closer to the upcoming general election. Mr Rabuka said his former SVT government started the tertiary free education, which was further extended by the Laisenia Qarase SDL Government and then extended by the Bainimarama Government. “Development is the duty of every government and as the nation progresses more and more developments and benefits could be extended to the whole nation by successive governments. “There will be no more tertiary student loans. Mr Rabuka said a SODELPA government would convert all existing loans to scholarships, meaning it would not be repaid. He said scholarships would be offered to areas of priority of the government, meaning areas where Fiji required certain professions and trades to benefit the nation. Mr Rabuka then added the current travel ban on students/guarantors who are not repaying their loans was also a breach of their human rights.